Souffle Continu Records present the first ever vinyl reissue of Jacques Thollot's Quand Le Son Devient Aigu, Jeter La Girafe À La Mer, originally released in 1971. While he was still just a young adolescent who had perfected his drum technique under the benevolent wing of Kenny Clarke, the Club Saint-Germain liked to present Jacques Thollot as a prodigy capable of holding his own with the famous jazz musicians who came through Paris. It was there that Eric Dolphy immediately noticed him, and from René Thomas to Walt Dickerson, everyone wanted to work with him. However, it was during the 1960s, first with Jef Gilson then François Tusques, Barney Wilen, Joachim Kühn, and Steve Lacy, that the decisive encounters occurred. Without forgetting that he joined, in 1968, one of Don Cherry's groups, went on tour with them and came back transformed. That being said, to present Jacques Thollot as an in-demand virtuoso who could adapt to any circumstances would be to ignore both his demanding compositions and his complete freedom from stylistic boundaries. Although he had already featured on some cult albums -- Our Meanings And Our Feelings by Michel Portal (1969), Monkey-Pockie-Boo by Sonny Sharrock (1970) -- the first album under his own name, recorded in 1971 for producer Gérard Terronès, who gave him free rein, would turn out to be an unexpected, unclassifiable and astounding work. Entitled Quand Le Son Devient Aigu, Jeter La Girafe À La Mer, ("when the sound gets high-pitched, throw the giraffe into the sea") it is an extraordinary sonic collage, created from discrete re-recordings and using just a handful of instruments including drums and piano. The result is a miracle, though the economy of means the production technique succeeds in putting the spotlight on the oddly elaborate compositions under an enigmatic but well-chosen title, borrowed from poet Henri Michaux. It puts into words the mysteries of a fragile melancholic universe which can be compared to another album by an iconoclastic drummer: The End Of An Ear by Robert Wyatt (1970). The difference being the highly personal elements which shine through the French musician's album, clearly drawn from listening intently to classics from Debussy, Ravel, and Barraqué (whom he knew), a seam which he would continue to mine on his equally excellent following albums Watch Devil Go (1975) and Cinq Hops (1978). Thollot recorded five albums under his own name during his lifetime, but those albums are marvelous. Licensed from Futura/Marge. 16-page booklet with unpublished photos an essay by Jean Rochard. Souffle Continu Records present the first ever vinyl reissue of Jean-Charles Capon's L'Univers-Solitude, originally released in 1972. The cello, although considered a minority instrument in the history of jazz and improvisation, has carved itself a niche, both in the USA (Fred Katz, Calo Scott, Abdul Wadud, Diedre Murray, Peggy Lee) and in Europe (Tristan Honsinger, Maarten Altena, Denis Van Hecke, Ernst Reijseger). Alongside Didier Petit, Jean-Charles Capon is one of the French virtuosi on the instrument, and he began playing professionally at the beginning of the '60s before creating the Baroque Jazz Trio. His name was rapidly linked to different cult groups for who he became the guest star (Confluence, Perception, Speed Limit), but also with many more or less well-known (free) jazz musicians including David S. Ware with whom he recorded the impeccable duo From Silence To Music (1978), Philippe Maté, Michel Roques, André Jaume, or Joe McPhee (as part of Po Music). Jef Gilson helped get his career under way (they recorded together as far back as 1968) before Pierre Barouh, boss of Saravah records with who Jean-Charles Capon played alongside Brigitte Fontaine and Areski, offered him the opportunity to record his first album: L'Univers-Solitude. In the company of Swiss percussionist Pierre Favre, Jean-Charles Capon demonstrated, in all registers, a level of invention way beyond a traditional rhythmic and melodic background, with the fluid phrasing a perfect complement to his extended range. 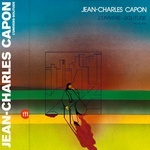 It is not for nothing that Jean-Charles Capon admires Duke Ellington, John Lewis, and Gabriel Fauré, as can be heard on his later highly personal versions of "Mood Indigo", "Django", and "Après Un Rêve". As for Pierre Favre, he is not there just to make up the numbers: his timbral research and combinations of complex rhythms offer the French cellist wonderful interaction throughout this remarkable album which had finally been given a dignified rerelease. The fluidity of the phrasing, timbral research, complex rhythmic combinations and rare sense of improvisation make this one of the best modern jazz recordings on the Saravah label in the 1970s. Licensed from Saravah. Gatefold sleeve; Obi strip; Edition of 500. 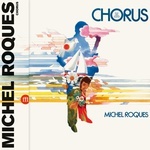 Souffle Continu Records present the first every vinyl reissue of Michel Roques's Chorus, originally released in 1972. Although his albums are full of the same qualities as those of many other star saxophonists/flutists playing spiritual jazz, Frenchman Michel Roques is often classed as a "supporting artist" or a "musicians' musician", forever in the background, and often left out of the reference books. Adding to this lack of recognition is the fact that Michel Roques was seriously under-recorded: five albums as leader in a career of almost twenty years does not amount to much! Thankfully, in 1972, Pierre Barouh, boss of Saravah, records made up for the injustice by offering him the opportunity to record Chorus in studio, providing a continuity with the equally brilliant Safari made four years earlier (1969). An ambitious work, Chorus owes much to the unusual "augmented" rhythm section, the inner structure of which is none other than that used in the Parisian trio of pianist Mal Waldron at the end of the 1960s: namely Patrice Caratini on bass (completed by the cello of the amazing Jean-Charles Capon) and Franco Manzecchi on drums (seconded by the percussion of Humberto Canto). Another notable singularity is that Michel Roques had the excellent idea of excluding the piano, traditionally employed in this kind of context. 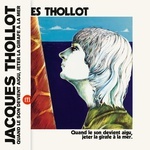 This didn't prevent Chorus from being played on French TV in 1973 with a piano replacing the cello, and a different voice reciting the beat-style poems of Nicole Roques, that of actor Jacques Degor, occasional collaborator with Jef Gilson, but far less convincing than Bachir Touré, wisely chosen for this recording for his style inherited from Afro-American preachers and capable of holding his own with the wild improvisations. In its own way, Chorus is one of the key albums mixing free jazz and spoken word "à la française". It is also a militant concept album which has lost nothing of its political force. Licensed from Saravah. Gatefold sleeve; obi strip; Edition of 500. RSD 2019 release. Nicknamed the Primdufs, the group have a passion for the obsolete French "valse musette". But their take has nothing in common with the smutty chords of popular balls and singalongs in little town halls. This is "bal musette" with balls, it's genuine, virile, and authentic. Though these noble savages like rummaging around in 1920s Paris, they don't shy away from including rhythms from all over the planet, rhumba from Zaireto, gypsy jazz, Hindu waltzes or Argentine tango, blues, "paso doble" or "chanson réaliste". It all began in 1986, when Dominique Cravic, "ukukeke" champion and a renowned guitarist who learned from jazzmen like Lee Konitz or Larry Coryell and also played with Georges Moustaki and Henri Salvador, met a certain Robert Crumb. Yes, the legendary comic book author from the great days of the US psychedelic underground in the '70s, the creator of Fritz the Cat (1972) and Mr Natural in person, the same man who also created the cover for Cheap Thrills (1968) by Janis Joplin. Crumb plays banjo and mandolin, collects 78s of blues, jazz and musette. The two cronies then composed their own made-to-measure orchestra, alongside many famous names including accordionist Daniel Colin, clarinetist Bertrand Auger, saxophonist Daniel Huck, bassist Jean-Philippe Viret or singer Claire Elzière (sorry, it's impossible to name them all). 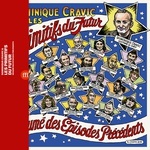 This great group has recorded four albums since 1986 (all with sleeves drawn by Crumb), some including guest stars such as Pierre Barouh, Jean-Jacques Milteau, Allain Leprest, Sanseverino or Olivia Ruiz. For thirty years, the Primitifs du Futur have carried the torch of musette to the four corners of the earth, from fiestas to festivals, and today release a double vinyl, entitled Résumé Des Épisodes Précédents which brings together the best of their adventures. It is a refreshing and heartening cocktail of "world tribal musette", as they call it, which, in these electro digital times, has a rejuvenating effect, a magic swing potion. Double-LP with 20-page booklet with all Crumb previous artworks for the band's albums plus unseen photos. Edition of 1500; No repress. Souffle Continu Records present the first ever vinyl reissue of Philippe Maté/Daniel Vallancien, originally released in 1972. 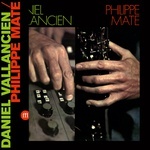 Although discrete, the career of saxophonist Philippe Maté includes nonetheless several indispensable albums: be it with the Acting Trio, Jean Guérin (Tacet), or Jef Gilson (Workshop), his collaborations in a big band or quartet with Lawrence "Butch" Morris, his presence in the Saxophone Quartet and also on the brilliant 1972 album L'Enfant Assassin Des Mouche by Jean-Claude Vannier (BMS 001CD, FKR 001X-LP). As for the man in the background: Daniel Vallancien, a sound engineer rarely featured on the sleeves; the collection Actuel on the BYG label owes much to him (he is at the controls behind Anthony Braxton, Don Cherry, Sonny Sharrock, or Steve Lacy), and the same goes for Saravah for who he notably recorded Areski, Brigitte Fontaine, Maurice Lemaître, or the Cohelmec Ensemble. Not bad for starters! What is more, Daniel Vallancien is one of a prestigious group of French recording engineers with open ears and often themselves musicians, even if only occasionally for some, including Bruno Menny, Daniel Deshays, or Jean-Marc Foussat, who have all recorded remarkable albums as leaders. Behind this collaboration was the idea of creating music which was free, direct, and spontaneous, while having also a minimum of advance planning. Music, according to the brief liner notes desirous to "remove itself from long and patient laboratory experiments". So, there can be found here none of the sophisticated tools associated with electroacoustic research, but mainly a recording mixer console, which, in the hands of Daniel Vallancien acts directly on the original instrumental sound in real time, modifying and multiplying it while respecting the natural flow. Be it Paul Méfano, Betsy Jolas, Gérard Grisey, or Jacques Lejeune, many contemporary composers working in France have, at one time or another, included the saxophone in their work. Nothing can compare to the singularity of the dialogue between Philippe Maté and Daniel Vallancien, which they themselves describe as being "serious, sarcastic or humorous", with, here and there, "disturbing sounds". Words, however, even those used by the protagonists themselves, are insufficient to describe such a sonic object, difficult to identify and, it has to be said, extraordinary. Licensed from Saravah. Gatefold sleeve; Obi strip; Edition of 500. 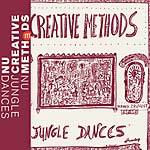 Souffle Continu presents a reissue of Nu Creative Methods' Nu Jungle Dances, originally released in 1978. When the second Nu Creative Methods album was released, New And Rediscovered Musical Instruments (1975) by Max Eastley and David Toop had already been available for almost three years. Without being able to say that there was a direct, real-time influence, the direction taken by the British and French duos was however the same, combining research and tradition in a quest for a new imaginary folklore. The name chosen by the pair was anything but innocent, linking them to both the track "Nu Creative Love" by Don Cherry (from Symphony For Improvisers(1966)) and the book My Creative Method (1949) by Francis Ponge. Because the first outlines the route of a free jazz the boundaries of which have constantly been demolished and through which Pierre Bastien and Bernard Pruvost traced their own path, while the second, an anarchist creating a bomb with the irrational as gunpowder, is close to providing an intellectual method. Close, because even this is undermined by other essential routes taken by Nu Creative Methods. The Oulipo, for example, encouraged all sorts of creativity; or perhaps pataphysics, according to which a banal saucepan is equivalent to the Mona Lisa! To get closer to the source of their imagination, the following names would have to be added to the list, Locus Solus (1914) by Raymond Roussel, Art Ensemble of Chicago, Harry Partch, New Phonic Art and Zwei Mann Orchester (1971-3) by Maurizio Kagel. That shows, in broad strokes, the creative wheels in motion behind Nu Creative Methods and Nu Jungle Dances offers a taste of the pathways offered by chance, following improvisations using instruments from the five continents. By proceeding thus, that is to say entering an esthetic zone where popular and esoteric music come together at last, an infinite palette of sounds opens up, offering fantastic perspectives. Between free jazz and ancestral music, Nu Jungle Dances makes it happen without pretense but with a rare and luminous extravagance, but also with the willingness to take on board unexpected surprises, and with a natural charm combating for the craft of sound creation. First ever vinyl reissue of this French underground treasure. Edition of 500 with four page booklet and obi strip. 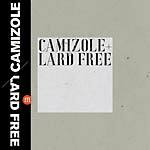 Souffle Continu presents Camizole + Lard Free, unreleased 1978 recordings from both groups performing as a collaborative. The ranks of Camizole included some of the most essential personalities of the French underground, notably Dominique Grimaud (Vidéo-Aventures), Chris Chanet (Etron Fou Leloublan), and Bernard Filipetti (Art & Technique). Their idea of music, if we look further than the pair Dominique Grimaud and Bernard Filipetti, and a style of music influenced by Klaus Schulze, is inspired by the liberty of free jazz. This is nonetheless modified by a cathartic approach close to the esthetic preoccupations of Julian Beck and Judith Malina's Living Theatre. The result is a musical happening, where the important thing is to improvise in the urgency of the moment in front of a not-always receptive public. Before exploring constructed repetitive forms which would be perfected by Urban Sax, Lard Free were more in the domain of noise improvisation, or even a kind of jazz rock similar to that of Soft Machine, as can be heard on a late retrospective album, from which the track "À chacun son Boulez" emerged. There was logically great complicity between Camizole and Lard Free, which would lead to the two groups finally merging. This was the case for four concerts in May before the two groups disbanded in order to finally get to grips with the free rock in the style of Faust that they liked so much. As an ode to anarchy, a record now bears witness to those communal experiences. Edition of 500 with obi strip. Souffle Continu Records present the first ever reissue of Jean Cohen-Solal's Flûtes Libres, originally released in 1972. In a dreamlike fictive and windswept Brittany, hippy pirates and wild women more or less inspired by Gérard de Nerval fight it out in a theater, the magic of which brings to mind Cocteau, and where musical improvisation has an important role: this is Noroît, a cursed film which was never released in cinemas at the time (1976), directed by the great Jacques Rivette, where Jean-Cohen-Solal, his brother Robert and Daniel Ponsard can be seen and heard playing. The scene is every bit as inventive as that featuring the Art Ensemble Of Chicago in Les Stances à Sophie (1971). The same magic and invention can be found on this first album by Jean Cohen-Solal: Flûtes Libres. A magic which can be keenly felt on "Quelqu'un", a long contemplative mantra which takes up the whole of the B side and which anticipates the future collaboration in the mysterious universe of Jacques Rivette. Jean Cohen-Solal studied flute from all angles, and became one of the great French virtuosi, along with Michel Edelin who at the time was with Triode. This was a period (1972) when flutists were very popular with the public, most of whom had been influenced by Roland Kirk, including Ian Anderson of Jethro Tull. Whereas Jean Cohen-Solal tells a different story, richer and centered on the instrument itself, using the magic (yes, that again) of overdubs. Perhaps Paul Horn rather than Roland Kirk could be an influence but stripped of a classical background which was too audible and a tendency for easy listening. In fact, in terms of comparison, "open music" by Bob Downes would be the closest to the electroacoustic experiments of Jean Cohen-Solal, who, by the way, was also close to the GRM and Bernard Parmegiani for whom he occasionally provided sound sources. These are the qualities which probably explain why Flûtes Libres figures (and justifiably) on the famous Nurse With Wound list. Licensed from Jean Cohen-Solal. Includes eight-page booklet. Highlighter yellow vinyl; Obi strip; Edition of 700. 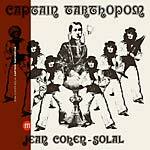 Souffle Continu Records present the first ever reissue of Jean Cohen-Solal's Captain Tarthopom, originally released in 1973. "Nothing can stop a flutist. We can do whatever we want, whatever we feel. My flute, is a mirror of myself. I express feelings more easily with the flute than with language." This is what Jean Cohen-Solal said on the cover of his first album released in 1972, Flûtes Libres (FFL 044LP), renowned for its adventurous overdubbing of alto, piccolo, and bass flutes, in treble or in C and ocarina. Mentioned on the famous Nurse With Wound list, the path followed by Jean Cohen-Solal included many exciting adventures in the 1970s, from his participation in the cult animation series Les Shadoks where his voice can be heard alongside the actor Claude Piéplu, to his proximity to the GRM where he worked alongside Bernard Parmegiani, François Bayle, Luc Ferrari, Guy Reibel, and Béatrice Ferreyra, or his involvement in progressive music with Captain Tarthopom, an album very much in the same style as that featured in Europe on the Vertigo label, but in an instrumental form, and even more audacious, without turning its back on the same classical influences as everyone else. It is impossible to pin a label on Jean Cohen-Solal, he is the equal of his Anglo-Saxon counterparts Bob Downes, Harold McNair, Jon Field (Jade Warrior), and Jeremy Steig, just to mention the most creative of the bunch. His affinity with strings, already heard in his work with Serge Franklin (author of the ineffable Free Sitar) on Flûtes Libres, is perfectly echoed here by the work of Jean-Claude Deblais, himself author of one of the little-known summits of sound illustration and French underground music: Le Miroir Du Fantastique (1977). Licensed from Jean Cohen-Solal. Includes eight-page booklet. Clear vinyl; Obi strip; Edition of 700. LP version. Comes on clear vinyl; obi strip; Edition of 1000. Souffle Continu Records present the first ever reissue of Areski's Un Beau Matin, originally released in 1970. Only those who read all the credits on record liner notes will know the full details: Areski is of course Brigitte Fontaine's partner in life, but also her creative alter ego, and the composer of the music of most of her songs. Even though it was his wife Brigitte and not him who wrote the lyrics, Areski is a poet in his own right. Furthermore, he is polyvalent: composing, arranging, singing, improvising, playing every possible instrument, and even acting. Areski, to sum up, is the perfect mix of the tradition of Munir Bashir with the European "sophistication" of someone like Jean-Claude Vannier, one foot permanently in Versailles (where he was born) and the maghreb. Areski, is left bank French songs without the stylistic effects, revised and updated through contact with Arab-Andalusian music. He is a Living Theatre style happening with a dose of cosmic free jazz; surrealist poetry viewed through the prism of Kabyle culture... Areski honed his talent observing the stars of traditional chaâbi, testing it out in bars and dives before meeting, during military service, the singer Jacques Higelin with whom he would record his first cult album (1969), and who would present him to his wife-to-be, Brigitte Fontaine. Between 1969 and 1980, with Fontaine, Areski would contribute an essential chapter to French underground music including classics such as Comme à la radio (with the Art Ensemble of Chicago) (1969), Je ne connais pas cet homme (1973), L'Incendie (1973), Le Bonheur (1975), and Vous et nous (1977). For all that, Areski has never really tried to have a career under his own name, in spite of the wonderful Un Beau Matin first published in 1970, and which it is high time to (re)discover. Those already in the know will not be surprised to see, especially, Jean-Charles Capon, author of the inspired L'Univers-solitude (1972), Brigitte Fontaine of course, or Daniel Vallancien, author of a no-less inspired duo with saxophonist Philippe Maté. All contributing to an acerbic poetic universe, concerned but never militant, and open to worldwide influences long before they became a fashion. Inspired, poetic, in a word essential: Un Beau Matin is one of the best albums of the French underground produced by Pierre Barouh on his label Saravah. 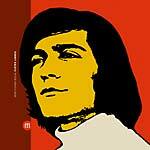 Souffle Continu Records present the first ever reissue of Areski's Un Beau Matin, originally released in 1970. Only those who read all the credits on record liner notes will know the full details: Areski is of course Brigitte Fontaine's partner in life, but also her creative alter ego, and the composer of the music of most of her songs. Even though it was his wife Brigitte and not him who wrote the lyrics, Areski is a poet in his own right. Furthermore, he is polyvalent: composing, arranging, singing, improvising, playing every possible instrument, and even acting. Areski, to sum up, is the perfect mix of the tradition of Munir Bashir with the European "sophistication" of someone like Jean-Claude Vannier, one foot permanently in Versailles (where he was born) and the maghreb. 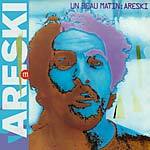 Areski, is left bank French songs without the stylistic effects, revised and updated through contact with Arab-Andalusian music. He is a Living Theatre style happening with a dose of cosmic free jazz; surrealist poetry viewed through the prism of Kabyle culture... Areski honed his talent observing the stars of traditional chaâbi, testing it out in bars and dives before meeting, during military service, the singer Jacques Higelin with whom he would record his first cult album (1969), and who would present him to his wife-to-be, Brigitte Fontaine. Between 1969 and 1980, with Fontaine, Areski would contribute an essential chapter to French underground music including classics such as Comme à la radio (with the Art Ensemble of Chicago) (1969), Je ne connais pas cet homme (1973), L'Incendie (1973), Le Bonheur (1975), and Vous et nous (1977). For all that, Areski has never really tried to have a career under his own name, in spite of the wonderful Un Beau Matin first published in 1970, and which it is high time to (re)discover. Those already in the know will not be surprised to see, especially, Jean-Charles Capon, author of the inspired L'Univers-solitude (1972), Brigitte Fontaine of course, or Daniel Vallancien, author of a no-less inspired duo with saxophonist Philippe Maté. All contributing to an acerbic poetic universe, concerned but never militant, and open to worldwide influences long before they became a fashion. Inspired, poetic, in a word essential: Un Beau Matin is one of the best albums of the French underground produced by Pierre Barouh on his label Saravah. CD version includes a four-page booklet; obi strip. 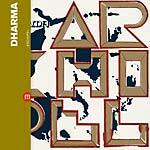 Souffle Continu Records present the first ever reissue of Dharma's Archipel, originally released in 1973. "Do your own music!" was Albert Ayler's advice, received loud and clear in France. Cohelmec Ensemble, Workshop de Lyon, and the Dharma Quintet, three groups close in spirit, which would each illustrate, in their own way, a local principle: to get some distance from American free jazz. As far as Dharma is concerned, the community-based approach was put in place to escape from any academism. This may draw comparisons with the Association for the Advancement of Creative Musicians, but they were also influenced by Gong. The events of May '68 were fresh, and protest was still in the air: no leadership structure was possible, and personnel could change with each recording (on Archipel, a new drummer makes an appearance; however, there is no recorded trace of the group with Jean Querlier and François Méchali). Like its predecessor End Starting (FFL 040LP), Archipel is a constructed album, mixing free rock and European free jazz in a series of collective explosions based on abrupt and contrasting improvisations. For much of the time, piano, guitar, and saxophone intertwine over intense rhythms, with everything and anything being electrified. Retrospectively, such remarkable timbral combinations, evoking sometimes the freer passages of Cinemascope by Joachim Kühn with Toto Blanke (1974), make the demise of Dharma in 1974, even more regrettable. Their modernity has nothing to envy of the later advances of Paul Bley with guitar (Pat Metheny, John Scofield), or of OM on 1977's Rautionaha, Patricio Villarroel's electric piano adding a nonetheless surprisingly singular touch to Dharma. This is without mentioning a kind of incisive violence when things sped up, which was unique to the Dharma Quintet, or a sound as dense as that of On The Corner by Miles Davis (1972), or Stark Reality, John Abercrombie's group from around the same period. Who else could seem approximately close to the Dharma Quintet at the same time... Emergency, a quintet which had played and recorded in France. Masabumi Kikuchi in Japan also deserves a mention. Along with the Cohelmec Ensemble, the Workshop de Lyon, the Full Moon Ensemble, Perception, Armonicord, or the Michel Portal Unit, the Dharma Quintet stand out as one of the most important examples of free jazz as it was played in France at the beginning of the 1970s. Licensed from Dharma. Obi strip; 12-page booklet; Edition of 700. 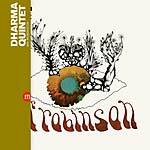 Souffle Continu Records present the first ever reissue of Dharma Quintet's Mr Robinson, originally released in 1970. In an interview with Jazz Magazine in the early 1970s, Dharma, as a collective voice, outlined their method: "we try to reach, within free jazz, the same sort of rhythmic cohesion as in bop, a cohesion based not exactly on tempo, but something which feels like tempo. A kind of underlying pulse." Evidence of these ideas can be heard immediately on listening to Mr Robinson, the first album by the Dharma Quintet, for whom community living seemed obvious, in order to add to the aforementioned cohesion. Through this, the group members played together on a daily basis, trying out things which were worked on day in, day out. They also listened to a lot of records, with of course a preference for free jazz, but not forgetting Miles Davis in his electric period, notably for the keyboards of Keith Jarrett and Chick Corea. To which should be added esthetical-political concerns based on a refusal of hierarchy, and a desire to escape from a restrictive academic approach... It was within this framework that Jef Sicard and Gérard Coppéré (saxophones, flute, bass clarinet), Patricio Villarroel (electric and acoustic piano), Michel Gladieux (bass), and Jacques Mahieux (drums) formed the first version of a collective united by structured intentions. The result is a beneficial cohesion, and moments of great beauty born of a collective excitement and giving rise to ambiances which seemed almost possessed. The use of modes could seem to link Mr Robinson to the spiritual jazz of the past but that is without taking into account the fact that the benevolent spirit of Eric Dolphy seems to watch over this album. In France, a similar desire for cohesion could be found in the Cohelmec Ensemble, who had parallel preoccupations, to the point where their bassist, François Méchali, ended up by joining Dharma. As a quintet, with however some personnel changes, Dharma recorded three albums (one as a trio, under the name of Dharma Trio), which are all of fundamental importance (Dharma also accompanied the songs of Jean-Marie Vivier and Colette Magny). Individually, the members would record with musicians passing through (notably Anthony Ortega, Dave Burrell) and participated in other key groups including Machi Oul and Full Moon Ensemble. Licensed from Dharma. Obi strip; Includes 12-page booklet; Edition of 700. 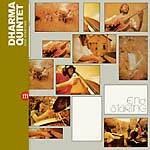 Souffle Continu Records present the first ever reissue of Dharma Quintet's End Starting, originally released in 1971. For Gérard Marais, guitarist with Dharma (the quintet), from this third album -- in fact he replaced Gérard Coppéré, one of the two saxophonists present on the first album (FFL 038LP, 1970) -- Albert Ayler's instruction to play your own music was the detonator. This did not fall on deaf ears, and was particularly appropriate as it would have been difficult, even for a musician attracted to free jazz, to make something of his own from the esthetic and political direction taken by Cecil Taylor, Archie Shepp, or Sun Ra. What could be summarized as ethnic differences. The quest was to find one's own music, whatever the more or less apparent roots. For, at the beginning of the 1970s, Gérard Marais and his comrades in the Dharma Quintet were overwhelmed by electric period Miles Davis. Not the band with Pete Cosey, which was still gestating, but the one fascinated by electronic keyboards and the famous Fender Rhodes which added so much to the atmosphere of In A Silent Way (1969). From the beginning of Dharma, but without ever copying anyone, Patricio Villarroel played the role of Chick Corea with Miles Davis. While Gérard Marais, whose fulgurate playing added another dynamic to the group, was at the level of John McLaughlin, or Sonny Sharrock at the same period. Another important soloist, alto saxophonist Jeff Sicard was as inventive as Byard Lancaster, Noah Howard, Gary Bartz, Marion Brown, or Sonny Simmons. Questioned by a critic, years after the group split, Gérard Marais insisted on it being an idea born of the seventies, which seemed the only creative way to enable written music and improvisation to coexist. This was a philosophy that he would continue to develop within Michel Portal's group, on Splendid Yzlment (1972), but also in a great duo with Joseph Dejean (of Full Moon Ensemble), and yet again in a trio led by drummer Stu Martin, with two guitars the other being Claude Barthélemy. The Dharma Quintet, made their mark, appearing under the letter "D", between Dedalus and Dies Irae, on the list of major influences created in 1979 by Nurse With Wound. Licensed from Dharma. Obi strip; 12-page booklet; Edition of 700. 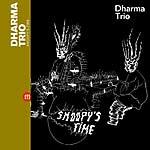 Souffle Continu Records present the first ever reissue of Dharma Trio's Snoopy's Time, originally released in 1970. Dharma as they were simply known, at the time when they were still playing, englobed all the incarnations of the group, trio, quartet (essentially as a live band), and quintet built around the stable core of pianist and bassist Patricio Villarroel and Michel Gladieux. Snoopy's Time is their second album, concentrated on the rhythm section including the ever-faithful Jacques Mahieux on drums, and recorded three months after Mr Robinson (FFL 038LP), the first album, made as a quintet including Jef Sicard and Gérard Coppéré, both at the time saxophonists with Claude Delcloo's Full Moon Ensemble. It is the most classic album in their discography, marked by the influence on Patricio Villarroel of the electric explorations of Miles Davis's pianists from 1968, that is to say Herbie Hancock, Chick Corea, Joe Zawinul, and Keith Jarrett. Indeed, the use of echo, reverb and saturation by Patricio Villarroel is similar to that of his famous counterparts. It would be a year later in France, but with a sound all his own, that Siegfried Kessler would undertake similar experiments playing with Perception, a group similar in spirit to Dharma. Specialists may also evoke Paul Bley, notably on Scorpio (1973) and Sweet Earth Flying (1974), or even Richard Beirach with Dave Liebman on Drum Ode (1975), but these albums came out a few years after the innovative Snoopy's Time, surprisingly released in 1970. Even amongst all the instrumental funky music of the time, it is rare to find such a communicative energy, magnified all the more by the subtle use of effects and an innate sense of groove. Licensed from Dharma Obi strip; 12-page booklet; Edition of 700. 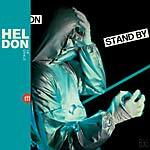 Souffle Continu Records present a reissue of Heldon's Stand By, originally released in 1979. Richard Pinhas began by absorbing Jimi Hendrix as an adolescent, leaving that behind at the beginning of the 1970s, after having heard what Miles Davis and Herbie Hancock were doing with synthesizers, and then discovering the seminal duo Fripp and Eno. 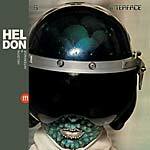 It was one year on from this epiphany that the first album by Heldon was released (1974). The main idea was to rock and roll on electronic machines. Richard Pinhas was of course playing electric guitar, but was also interested in the A.R.P. and VCS 3, to the point of purchasing the Moog 3 owned by the Beatles. In order to do so, he had to sell of the Disjuncta label -- the first totally independent French label -- he had created in order to release Schizo (1972), Alain Renaud and Heldon. This was the beginning of the 1970s. Heldon had already released four key albums and left their home studio for Davout, beginning a trilogy starting with the sound of 1976's Un Rêve Sans Conséquence Spéciale (FFL 034LP), continuing with 1977's Interface (FFL 035LP), and concluding with Stand By. When Stand By was released, the press had already labeled Heldon as the first electric punk group. There is nothing silly in that, Heldon having quickly moved away from the spacey German influences which were not to Richard Pinhas's taste. This can be heard on Stand By, the lynchpin of which is the twenty minutes of sound and fury of "Boléro", something of a high-point from the group which owes much to the sequencers of the "technician" Didier Badez. As on the two previous releases, the ever-faithful Patrick Gauthier, François Auger, and Didier Batard were present. For one track, Klaus Blasquiz sings and highlights the underlying links between Heldon, Magma, and Weidorje, but also a shared past experience in Blues Convention with Richard Pinhas. After two solo albums, East West (1980) and L'Éthique (1982), Richard Pinhas dropped everything, through fear of repeating himself, even selling off some of his equipment, before coming back to center-stage with DWW (1992), following a sabbatical decade centered on philosophy, skiing, and paragliding. Thus, Stand By can be seen as the end of an era for Heldon. High quality mastering from Richard Pinhas's original masters; Licensed from Richard Pinhas. Obi strip; matte printing. Sea blue vinyl; Edition of 700. 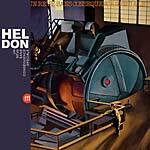 Souffle Continu Records present a reissue of Heldon's Un Rêve Sans Conséquence Spéciale, originally released on Cobra in 1976. In Heldon, nobody particularly likes liner notes. However, although the group's albums have none, they abound, from the very beginning, with clues and often cryptic references. The name of the group, obviously, comes from a science fiction novel by Norman Spinrad, but perhaps it is less well known that the title of the album Un Rêve Sans Conséquence Spéciale is taken from a pirate recording of King Crimson made in 1974, an elegant way to state the possible lineage between guitarist (and synthesizer player) Richard Pinhas and Robert Fripp, his peer in the British band. Likewise, Richard Pinhas values the philosophers Lyotard, Nietzsche, and Deleuze, and the cover of Un Rêve Sans Conséquence Spéciale quotes theology specialist Pierre Klossowski, according to whom all creators owe it themselves to provoke a "state of insecurity straying from the oppressive regime of mediocrity". Having been a precursor of the home studio, Richard Pinhas came to the Davout studios to record the fifth Heldon album Un Rêve Sans Conséquence Spéciale. He had a special space reserved for him, where there was a Moog 3 which had belonged to Paul McCartney. Intense, violent, bitter, abrasive, uncompromising: the first on-site recording is in keeping with the four predecessors, prefiguring both industrial- and post-rock, showing once again that the early references to "guerrilla electronics" (and to William S. Burroughs) were not in vain. The newcomers to this universe, bassist Didier Batard (Coeur Magique, Triptyque), on one track, and drummer François Auger (heard on the fifth album by Gérard Manset) finally transform Heldon into a fiery power trio for the inspired "MVC II". Without forgetting that the faithful Patrick Gauthier is also on board, as is Jannick Top (Magma), each on one track. Listening to the result it is easy to understand why Merzbow, Wolf Eyes, and Oren Ambarchi, in the 2000s wanted to record with Richard Pinhas. It must also be noted that the often-made comparison between Heldon/Richard Pinhas and King Crimson/Robert Fripp, while still pertinent, if insufficient, as Un Rêve Sans Conséquence Spéciale breaks much new ground beyond those horizons. High quality mastering from Richard Pinhas's original masters; Licensed from Richard Pinhas. Obi strip; matte printing. Clear purple vinyl; Edition of 700. 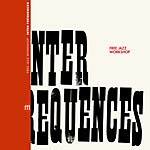 Souffle Continu Records present the first ever vinyl reissue of Free Jazz Workshop's Inter Fréquences, originally released in 1973. The Free Jazz Workshop came into being in 1967 but their first album, Inter Fréquences, only appeared in 1973. Unfortunately there is no recorded trace of the group including the first drummer Pierre Guyon before he was replaced by Christian Rollet in 1970. One of the slogans doing the rounds at the time sets the tone: "Aesthetic liberation is but a prelude to the liberation of humanity." The trajectory of the Free Jazz Workshop (which became the Workshop De Lyon in 1975 with the arrival of clarinetist-saxophonist Louis Sclavis) is emblematic of the emancipation of the mindset of certain French musicians during this period. It has been an exceptionally long-lived trajectory a "half-century" as the members say, during which the group -- in Christian Rollet's own words -- went from being "an exploratory workshop who claimed to take no account of the musical certitudes of the majority" to becoming something of a classic institution. Right from this first album it is clear that the group would function as a collective with no designated leader. The legacy and influence of American free jazz can be heard throughout: Albert and Don Ayler, or Ornette Coleman and Don Cherry for the horns of Maurice Merle and Jean Mereu; Cecil Taylor for the pianist Patrick Vollat, absent from the group after the second album released in 1975 La Chasse De Shirah Sharibad (FFL 032LP); Gary Peacock and Barre Phillips for the bass; Sunny Murray or Milford Graves for the rhythmic agitation; but also the Art Ensemble Of Chicago for the collective aspect. This lyrical, incandescent album, alongside those released by François Tusques and the Cohelmec Ensemble at the same period, represents one of the high points of free jazz produced by French musicians. Licensed from Bisou. Reverse printing; 12-page booklet; Obi strip; Edition of 700. 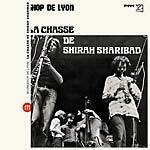 Souffle Continu Records present the first ever reissue of Workshop De Lyon's La Chasse De Shirah Sharibad, originally released in 1975. In France, in the years 1960-1970, musicians pondered over how to transpose the political struggle of free jazz onto a completely different political terrain. One of the first to do so was pianist François Tusques (agitator, theorist and militant) who recorded 1965's Free Jazz (CACK 020LP), and then continued with Le Nouveau Jazz (1967), French equivalents to the American "New Thing". The word spread, and was picked up by the Free Jazz Workshop which became the Workshop De Lyon in 1975 with the arrival of clarinetist-saxophonist Louis Sclavis. Still a source of joy, this lyrically feverish second album maintains a narrative dimension however subtle the textures developed through the contrasting collective improvisations. 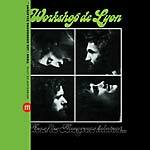 With their ever-inventive melodicism, the Workshop De Lyon invented an imaginary folklore on this album which is unlike any other. It is a knowing mix of the avant-garde and the traditional, collective playing vying, with panache and complexity, with the inspired urgency of the soloists. Even without filmed images the theatricality and humor of the group's live performances, essential components of their identity can be felt during the long thematic suites which are both expressive and full of joy. What better way to honor their imaginary mentors, Albert Ayler or the Art Ensemble Of Chicago! More, More! Licensed from Bisou. Reverse printing; 12-page booklet; Obi strip; Edition of 700. Souffle Continu Records present the first vinyl edition of Jac Berrocal's La Nuit Est Au Courant, originally released on In Situ in 1991. Ornette Coleman's "Lonely Woman" on the radio, Renaissance motets, his grandfather in a Zouave military band, Syrian deserts... Columns of tanks in the streets, the soundtrack to Robert Bresson's A Man Escaped (1956), Juan Manuel Fangio's car, the fall of the Berlin wall: from the first and fantastic Musiq Musik (1973), this is where Jac Berrocal's trumpet comes from -- an indescribable cataclysm to which he constantly returns for inspiration. When he published, at the beginning of the 1990s, La Nuit Est Au Courant, Jac Berrocal had already recorded his famous "Rock'n'Roll Station" and collaborated three times with Nurse With Wound, he figures on their 1979 list as an important avant-garde influence. In Situ, the French label which published this album, produced several other historically important albums in the same year by people like Steve Lacy, François Tusques, Un Drame Musical Instantané, and Daunik Lazro in a duo with Joe McPhee: such were the times. 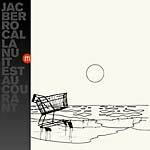 Backed by two bassists (including the jazz critic Francis Marmande) and a drummer, Jacques Thollot (who recorded Jeter La Girafe À La Mer (1971), one of the highlights of the French underground), Jac Berrocal does here what he does best: defy labels and slalom between genres; constructing a strange kaleidoscope of enchanting mish-mash. "What is vulgar... ", he states, "... is to refuse what pleases you". Jac Berrocal refuses nothing and tries everything he can imagine. With the trumpet multiplied here and there by reverb, the nocturnal perambulations for insomniacs of La Nuit Au Courant make it an ambient album with Prague, Sartrouville, Ivry-sur-Seine or East Berlin amongst the backdrops... An album of what Fernando Arrabal called "panic music", an elegant term for "no wave"... Listening to it over and again, it sounds like Don Cherry jamming with David Bowie and Brian Eno in Berlin. There is one thing you should know: Jac Berrocal is an intrepid man. He stands exposed -- and "sullies his soul", on the edge of the precipice. The nights are all-knowing. Licensed from In Situ. Obi strip; Reverse printing; Includes four-page booklet; Edition of 700. 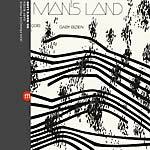 Souffle Continu Records present a reissue of Jean-Francois Pauvros and Gaby Bizien's No Man's Land, originally released on Un-Deux-Trois in 1976. Whether it is with the label Palm, or for Un-Deux-Trois, Jef Gilson has produced some of the best albums of French free jazz and improvisation. 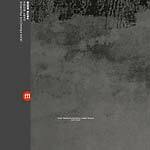 But that's not all: he also offered perfect recording conditions enabling some of the fresh young talent to emerge, including Daunik Lazro, André Jaume, and Jean-François Pauvros, all three of whom released their first recordings on one of those labels. Recorded by Jean-François Pauvros (guitar, but not only...) alongside Gaby Bizien (drums, percussion, aquatic trombone, marimba, bird calls), and, of course, produced by the audacious Jef Gilson, the appropriately named No Man's Land had virtually no equivalent in France (nor worldwide) when it came out in 1976. Radical, free, primitive, timeless: in the image of the musicians, it is not for nothing that it appears in the famous Nurse With Wound list of major influences concocted in 1979. No label can be placed on this vertiginous sensory adventure: an explosive flow of shrapnel and tearing intensity, full of mystery and life. To be clear, No Man's Land is the key recording of French improvisation. So much so that it is difficult to imagine it coming out of nowhere, the two musicians must surely have been listening to the latest forays of the British Music Improvisation Company and decided to reply in their own way. But not at all! If you believe what the protagonists have to say, these experiments were carried out in secret isolation, and with a total lack of awareness of everything that was going on in the avant-garde of improvised music. Indeed, it was only after the album was published that Jean-François Pauvros and Gaby Bizien learned that there was a movement going on with similar ideas. That tells us something about the level of invention of this album, which comfortably bears comparison to other similar duos such as Derek Bailey and Tony Oxley, Fred Frith and Chris Cutler, John Russell and Roger Turner, or Gary Smith and John Stevens... The Frenchmen were well served by their unbridled variety and poly-instrumentalism. Licensed from Jean-François Pauvros. Obi strip; Reverse printing; Edition of 500.